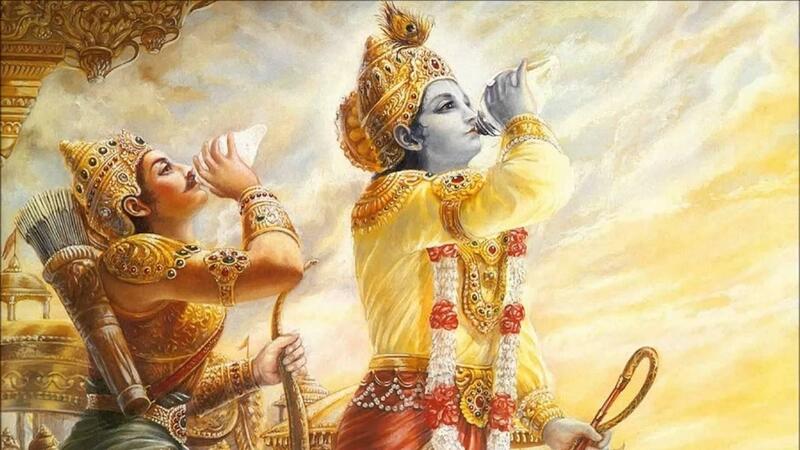 The Bhagavad Gītā, the "Song of the Lord"—or simply the Gītā, as it is affectionately known—is many things. At approximately 700 verses, spread across 18 chapters, it is first and foremost, an “epic” poem, situated within the sixth book (parvan) of the great Mahābhārata, one of India’s and the world’s longest stories ever told; it is ancient Indian treatise adjudicating the ethics of battle and just war; an excursus on proper conduct (karma) and one’s moral and social duty (dharma) within the cosmic order. It is also a treatise on philosophy, an inquiry that seeks to determine what is righteous and good, investigating the meaning and purpose of human life (puruṣārtha). For many Hindus, it is a timeless (sanātana) and independent scripture, a revelation and “song” (gītā) of God (bhagavān), in the form of Kṛṣṇa. The Gītā is thus also a work of theology, putting forth a unique vision of an inclusive yet all-encompassing divinity; for devotees, the Gītā is a secret love song, extolling the intimate path of devotion (bhakti), accessible to all who yearn for God. And further, the Gītā is also an early treatise on classical Yoga theory and practice, synthesizing a wide array of early Indian ascetic and yogic doctrine and techniques, offering various paths (mārga) to liberation from worldly suffering. Through this timeless dialogue between Arjuna and Kṛṣṇa—warrior and charioteer, student and teacher, devotee and God—we are invited into a rich study and reflection of the nature and complexity of the human condition. 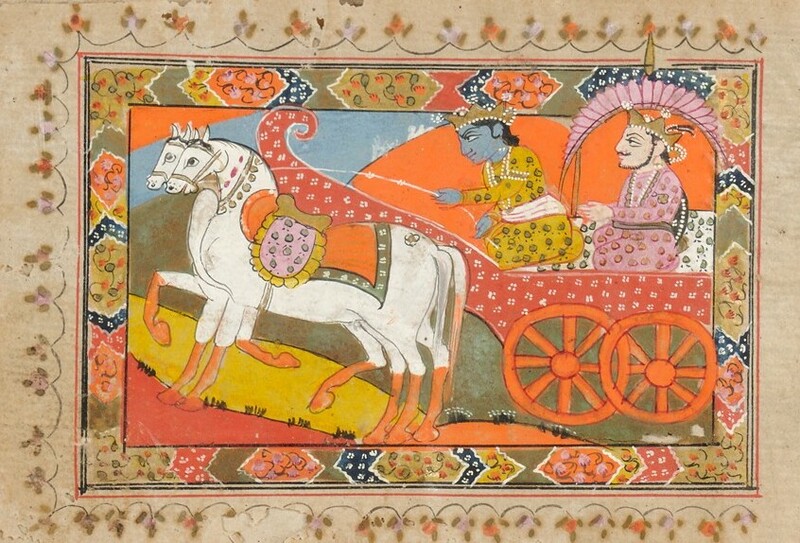 Bhagavadgītā illustrated Sanskrit ms. Skinner collection. 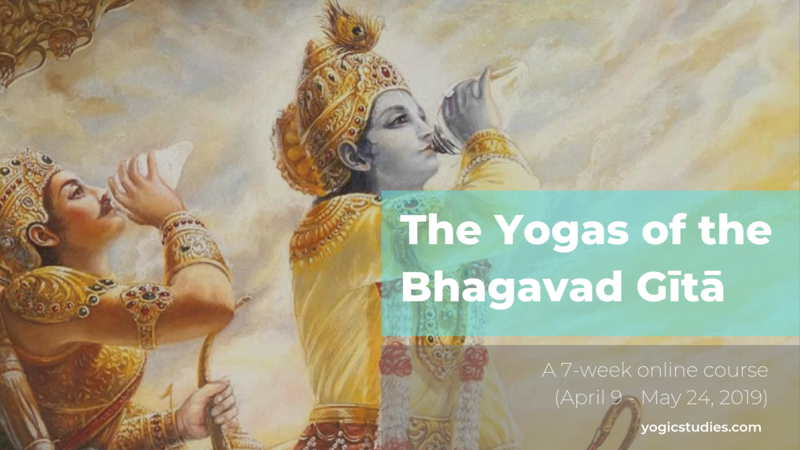 In the next online course from Yogic Studies, YS 202: Yogas of the Bhagavad Gītā, we will have an opportunity to read closely and study the Gītā from these various hermeneutical perspectives—as epic literature, as philosophy, and as theology. 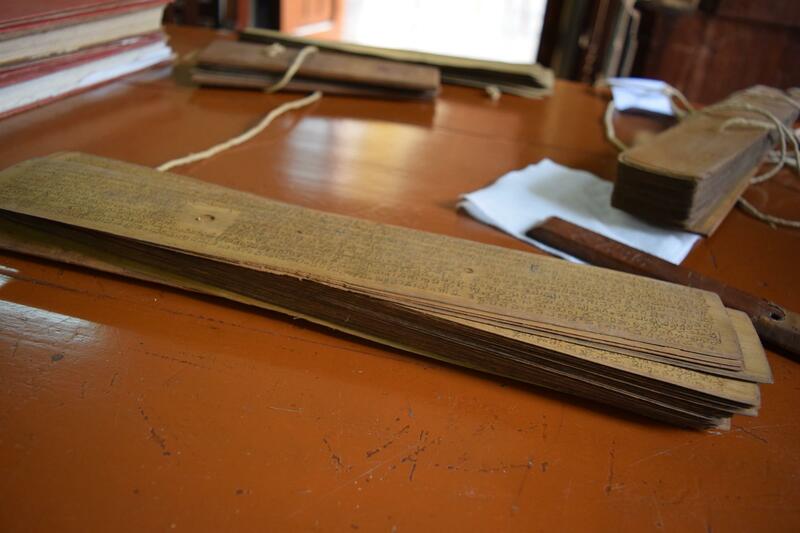 We will seek to understand and place the Gītā within its broader historical and philosophical context, locating the text within the broader Mahābhārata epic. We will immerse in its timeless wisdom, philosophy, and ethics, seeking to understand the doctrine put forth in the Gītā, and its relation to the other early schools of Indian thought, including Buddhism, Jainism, the Upaniṣads, Sāṅkhya, and Yoga. Here we will also give close attention to parallels between the Gītā and the Yogasūtra, seeing how the Gītā was a likely source text for Patañjali! Rather than asserting one authoritative reading of the Gītā, this course will more humbly allow for a multiplicity of perspectives and interpretations, noting where medieval theologians and Sanskrit commentators—especially Vedāntins—actually disagreed over how to interpret certain key passages and philosophical ideas. We'll look at a range of interpreters, from the non-dualist Śaṅkara to the modern political and civil rights leader, Mahatma Gandhi. How can we hold space for these differing perspectives and theologies, and how might honoring their differences be valuable in today’s global and pluralistic world? Along the way, we will give special attention to the various teachings and disciplines of yoga in the Gītā, including three of the earliest definitions of yoga in a Sanskrit text! We will explore the well-known (but often mis-understood) models of Karmayoga (“the yoga of action”), Jñānayoga (“the yoga of knowledge”), and Bhaktiyoga (“the yoga of devotion”)—as well as lesser-known forms such as Buddhiyoga (“the yoga of discernment) and Dhyānayoga (“the yoga of meditation”). As we will see, unlike more ascetic models of classical Yoga which suggest that the yogi must retreat from the world, the Gītā’s universal message promotes a social ethic of engaging in the world through disciplined yogic practice, by turning all of one’s activities into humble yogic service and devotion. Throughout this course, we will reflect on the ethical and philosophical challenges the Gītā puts forth, contemplating their relation to our own modern lives and yoga practice. If this sounds like a course and topic that interests you, be sure to click here for more info about the upcoming YS 202 course, and look out for a special Early Bird Promotion.